COIN OPERATED COPIERS, PRINTERS & FAXES! Please contact these coin op fax & printer copier suppliers directly for more information. ACDI is a leading manufacturer and designer of copy and print control devices. As an industry leader, our units count, limit, charge, and report usage from virtually all copiers and printers on the market today. (Domestic & International) CHOOSE ACDI! Advanced Technologies is a leading vendor in copier and printer vending, with over 30 years of experience. We offer coin-ops, card readers, keypad controllers, and print vending software. Our prices are always competitive, and our service is unsurpassed. Visit our website at www.tekvend.com. CoinCopiers.com – Reduce your workload and cost of printing dramatically through traditional as well as digital solutions for copier vending and pay for use applications. We are the leading supplier of public access print and duplicating vending solutions servicing Houston and surrounding areas. Jamex – Coin-operated copiers, fax machines and coin op printers for vending businesses. Founded in 1986, OMNI Business Systems–FaxPlus, Inc. has become one of the Washington D.C. Metropolitan areas most respected leaders in providing Office Equipment and Information Technology solutions. With over 25 years of industry experience, OMNI has confidently evolved with the ever changing marketplace and continues to provide Office Technology and Security Solutions to the U.S. Federal Government and other valued commercial customers. 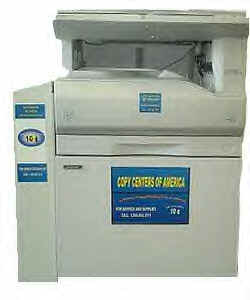 #1 OMNI COPY CENTERS Rents Coin Operated Copiers! Service guaranteed within 24 hours. Worlds largest service staff with over 600 Employees, and 500 Office Locations – Worldwide distribution. Omni’s 50th year advising customers concerning their photocopier needs. Coin Operated Copiers for your office! 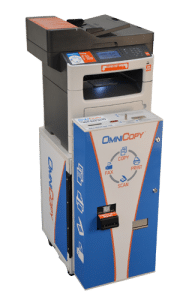 Established in 1964, OmniCopy provides outstanding value in multifunction copy, print, scan, and fax equipment, supplies, and service to businesses large and small. We are also a leading provider of coin-operated copiers and service for a wide variety of retail locations. Our goal is to provide our customers with a broad array of products, friendly efficient customer service, and excellent value. We inventory a wide range of equipment and supplies in our Largo, Florida warehouse and our experienced staff is ready to serve.